August 7, 2014, Montreal, QC—Effigis Geo-Solutions Inc., a leader in Earth observation solutions, is proud to announce that the Canadian Space Agency (CSA) granted it a half million dollars ($574,875) to set up innovative applications to build on Earth observation data. The contract granted to Effigis primarily concerns the development of methods for using RADARSAT-2 multi-polarization images and the monitoring of natural environments in Canada, based on their vegetation structure and substrate conditions. During this project, state-of-the-art polarimetric techniques (decompositions and POLinSAR) will be used. The purpose of this initiative is to develop methods to map and monitor natural environments in various ecozones of Canada, as well as to detect any environmental disturbances in these areas. “The CSA’s Earth Observation Applications Development Program (EOADP) continues to develop leading-edge technological solutions that further meet the needs of our clients, providing Effigis with an undeniable competitive advantage on all our markets, especially internationally,” specified Pierre Vincent, Executive Vice President of Effigis. 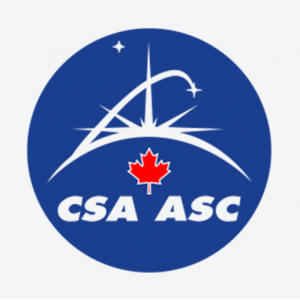 The CSA, through its Earth Observation Applications Development Program (EOADP), granted a total of 12 contracts to Canadian industries and universities. With this investment, Canadian industry will be able to create innovative systems, products and services to optimize the use of data from the Earth observation missions supported by the Canadian Space Agency, in particular RADARSAT-2. Effigis, a rapidly expanding Quebec firm established in Montreal in 1991, designs, develops and implements innovative geospatial solutions (Earth observation services, infrastructure inventory, telecommunications network monitoring, GNSS software, geological studies) by drawing upon expert resources, aimed at improving its customers’ business processes. A business partner in one of the largest satellite imaging distribution networks in the world, Effigis provides its clients with access to a wide range of Earth observation business satellites. It is also the exclusive distributor of Pléiades satellite images for Canada. Effigis thus serves many sectors of activity such as public administration, aeronautics, agriculture, environment, forestry, engineering consulting, mines and oil, public services and telecommunications.